A full moon casts light over Lucy Creek off Ladys Island. Also called Lucy Point Creek, the tributary connects the Coosaw River with the Morgan River and provides boaters with access to the Intracoastal Waterway. 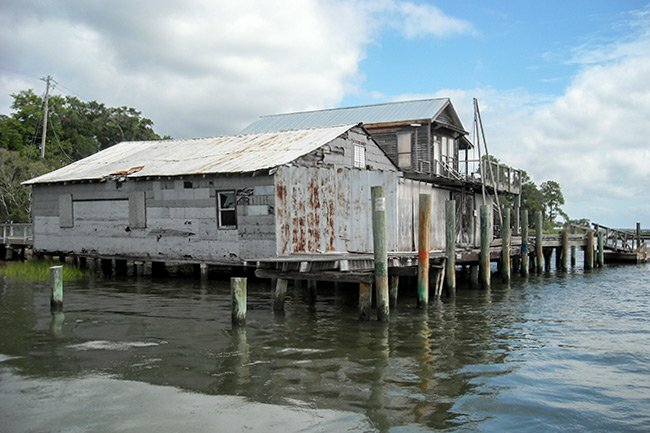 Those familiar with the film Forrest Gump have seen Lucy Creek in several scenes with Forrest’s shrimp boat, Jenny. 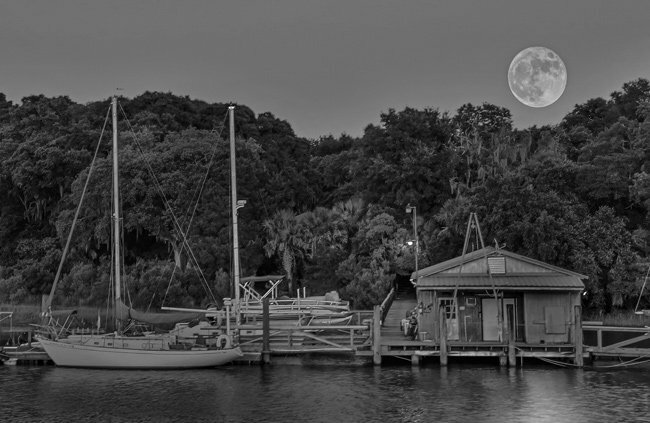 Lucy Creek is home to the popular Sams Point Boat Landing, where this photo was captured. The tidal creek is subject to fluctuating depths. The crab shack, seen below, was also once located at the boat landing. It was used to hand-process blue crabs and went through several remodels until it was unfortunately torn down around 2014. We would like to make this page better. Do you have information about Lucy Creek that you would like to share? If so, please send it to the South Carolina Picture Project. Thank you! Lucy Creek was once home to the thriving phosphate industry.